Another Elizabeth Street Garden Painting! I love Elizabeth Street Garden. So many views, and a different character for each view. This was painted in the later part of my residency – late August or early September – in the changing light of the late afternoon. 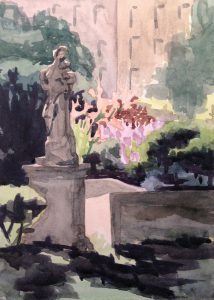 A friend had come to paint with me in the garden, and we set up facing west which is why the statue appears mostly as a silhouette. 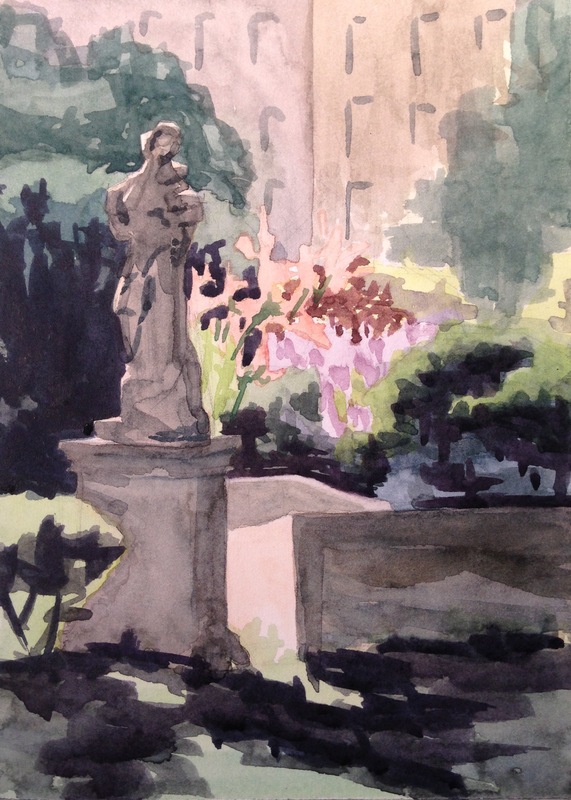 The figure statue stands next to the lions that appear in other of my paintings of the garden. One of the charming things about the garden is the way that the statuary and the vegetation both have a kind of wild, weathered feel.